South Carolina is home to more than 60 postsecondary schools, and the state features a variety of two-year and four-year programs through large universities and community colleges. With degree options ranging from innovative medicine and technology programs to traditional liberal arts studies, choosing from among the state's diverse schools may seem daunting at first. To make searching for school easier, we have applied our rigorous methodology to the latest education data to rank the best colleges in South Carolina, including the top four-year and two-year schools. To provide the best rankings possible, we have factored these and several other critical elements into our internal algorithm. Key markers used in our methodology include acceptance rate, student retention, graduation rate and enrollment rates. Our lists below highlight the top two-year and four-year colleges in South Carolina. Four-year colleges in South Carolina range from large, public universities to small schools with a specific focus. The University of South Carolina is the flagship university and boasts the largest student enrollment in the state. South Carolina colleges are nationally recognized for the quality of their research programs and the high concentration of medical and technical programs. Other four-year schools in the state feature biblical, law and military concentrations. South Carolina residents with a bachelor's degree earn a higher salary than those who didn't finish college. Graduates from four-year institutions in the state typically earn significantly more than non-degree holders, with post-college salaries exceeding the average national income. South Carolina is home to a variety of programs that will interest students from all backgrounds. If you're interested in browsing what these schools have to offer, our list of the top colleges in South Carolina can help you begin your research. Columbia International, founded in 1923, is one of the top colleges in South Carolina. It is a multi-denominational, Christian college serving approximately 560 undergraduate students, with a 17:1 student-to-faculty ratio. Its 400-acre campus is located in Columbia. Undergraduate students are required to major in Bible along with a professional program of their choice. The most popular choices are psychology, teacher education, intercultural studies, business and organizational leadership, and youth ministry, family, and culture. Six minors are available. Students cheer on the CIU Rams athletic teams, which include men's and women's basketball, cross-country, track, and soccer. Current students enjoy spending time at the Student Center, Academic Success Center, the school Chapel, the Victory Prayer Towers, and the Ram Shack, where students meet for coffee and meals. CIU has 18,000 alumni serving or working in 150 countries. Columbia offers fully online master's programs. Clemson, located at the foothills of the Blue Ridge Mountains, is home to approximately 17,360 undergraduate students. The school is one of the best colleges in South Carolina and was founded in 1889. Clemson offers more than 80 majors and 75 minors within its seven Colleges. Programs include agriculture, forestry, and life sciences. The Calhoun Honors College provides study and research opportunities for undergraduates. Students enjoy a 17:1 student-to-faculty ratio. North Greenville, established in 1892, is located in Tigerville and is an institution of the South Carolina Baptist Convention. The more than 2,300 undergraduate students experience Christ-centered educations in their pursuit of Bachelor of Arts and Bachelor of Science Degrees. North Greenville has seven colleges offering 36 majors, including broadcast media, church music, outdoor leadership, mathematics and engineering, and youth ministry. Students enjoy a 14:1 student-to-faculty ratio at this South Carolina college. More than 400 students participate in campus ministries like outreach and athletics, and NGU's Center for Global Missions. On-campus activities include the Baptist Student Union, Disc Golf Club, marching band, and the NGU Debate Society. NCAA Division II athletics teams and intramurals, like flag football, volleyball, and Ultimate Frisbee, provide sports entertainment. The Game Room offers ping pong, air hockey, pool tables, and more. Alumni of North Greenville includes Elevation Church Pastor Steven Furtick, former Director of the National Security Agency John McConnell, and former Miss South Carolina Kelly McCorkle. USC-Aiken serves 3,500 undergraduate students with a 15:1 student-to-faculty ratio. As one of the best colleges in South Carolina, it offers a variety of liberal arts degrees, including nursing, communication, and mathematics/computer science. The university offers many undergraduate minors to customize any degree. The USC-Aiken Center for Research Excellence provides research opportunities in the science and humanities fields. The student body is diverse, with 36% minority enrollment. On-campus activities include Greek Life, intramurals, NCAA Division I athletics, leadership programs, IMPACT projects (local volunteering at animal shelters, nursing homes, and more), and the USC-Aiken Equestrian Community. USC-Aiken is connected to the community and holds public concerts and events at its Convocation Center, along with math and science programs for K-12 students and teachers at its science education center. The school uses Blackboard for its online courses. Charleston's Citadel Military College was established in 1842. It strives to educate the "whole person - mind, body, and spirit." The approximately 2,300 undergraduates comprise the South Carolina Corps of Cadets and hail from 45 states and 12 countries. They live and study in a "classical military system" and are 92% male and 8% female. The school has 20 majors including health, exercise, and sport science, mathematics and computer science, and criminal justice. The Citadel offers the only undergraduate mechanical engineering program in the Charleston region. It has a Science, Technology, Engineering, and Math (STEM) Center of Excellence, which hosts the largest annual STEM competition in the South. As one of the best colleges in South Carolina, Citadel offers activities including 4C Beach Day, pep rallies, clubs, intramurals, ROTC, men's and women's athletics, and the Rifle Legion Drill Team. Thirty percent of Citadel graduates join the military post-graduation. Alumni includes an astronaut, six state governors, and eight U.S. ambassadors. USC-Upstate was founded in 1967 to provide a registered nurse diploma program that was eliminated by a local hospital. It's one of the best colleges in South Carolina, and has four colleges and schools offering bachelor's programs in the liberal arts. Majors include arts and sciences, business and economics, nursing, and education. The approximate student-body of 6,000 hails from 26 states and 17 countries, and enjoy an 18:1 student-to-faculty ratio. The university's core values are "People, Stewardship, and Integrity." Students have access to several leadership development programs, and service-learning opportunities including monthly service projects (through the IMPACT student organization), alternative breaks, and special courses. Activities on the Spartanburg campus include performance clubs (such as Gospel Choir and Jazz Combo), Greek Life, and academic and professional groups. There are a variety of NCAA Division I men's and women's Spartans Athletics teams. South Carolina is one of the oldest colleges in South Carolina, it was established in 1801. The school has over 25,250 undergraduate students and maintains a 19: 1 student-to-faculty ratio. South Carolina offers over 80 bachelor's degree programs, including biochemistry and molecular biology, cardiovascular technology, criminal justice, and engineering. All undergraduates take the Carolina Core, a set of general education courses, as part of their degree programs. The more than 400 student organizations include Greek Life, the Association of Black Journalists, the Entrepreneurship Club, and the Public Relations Student Society of America. Students can participate in a variety of service opportunities, including weekly volunteerism, alternative breaks, and the Martin Luther King Jr. Day of Service. The USC Gamecocks Athletics comprise of 19 NCAA Division I teams. Notable alumni includes U.S. Senator Lindsey Graham, singer-songwriter Darius Rucker, and Houston Texans owner Robert C. McNair. Furman, one of the best colleges in South Carolina, offers more than 60 programs and 36 majors. Program subject areas include anthropology, information technology, public health, and religion. Its approximately 2,700 undergraduate students represent 45 states and 53 countries. The University delivers an 11:1 student-to-faculty ratio, and 96% of faculty members hold the highest degree in their field. There are a variety of research opportunities, including the Summer Research Fellowship, faculty-student collaboration projects, and "Furman Engaged!" -- an annual event to share student work. Eighty-one percent of students participate in research programs or internships. Located in Greenville, the 750-acre campus features an 18-hole golf course, an Asian garden, and a replica of Henry David Thoreau's cabin. Students can participate in NCAA Division I athletics and have access to 150 student organizations, such as Greek Life, intramurals, film clubs, dance companies, Religious Council, and the Heller Service Corps (the University's largest organization). Southern Wesleyan, an institution of the Wesleyan Church, is an Evangelical college in South Carolina. Its 350-acre campus is located in Central, South Carolina, with regional campuses in Charleston, Columbia, Greenville, and North Augusta. Undergraduates enjoy an 18:1 student-to-faculty ratio, and 73% of full-time faculty hold terminal degrees in their fields. SWU has more than 40 academic programs, including criminal justice, forensic science, chemistry, and ministry. Online and hybrid degrees are also offered. An Honors Program and study abroad opportunities are available. Southern Wesleyan has approximately 700 residential students. SWU is "committed to knowing Christ and making Him known;" the school provides faith and worship programs, discipleship groups, ministry teams, community service projects, and missions trips. There are more than 15 student clubs, organizations, and athletic teams that hold dual membership in NCAA Division II and the National Christian College Athletic Association. Since 1880, PC has been educating students in the liberal arts with a Christian worldview. Located in Clinton on a 240-acre campus, it is one of the best colleges in South Carolina. Its 1,026 undergraduate students have a 13:1 student-to-faculty ratio. At the opening convocation each year, new students and staff sign the College's Honor Code: "Trust, Honesty, Integrity, Respect, and Responsibility to the Community." The College offers 42 degree majors, including art, chemistry, elementary education, and religion. The nine pre-professional programs include pre-law, pre-theological, and a dual-degree in Engineering. Students are required to participate in an internship or study abroad program. Learners enjoy a wide variety of research opportunities, including independent studies, serving as research assistants to faculty, and participating in the Summer Fellowship Program. Ninety percent of students are members of one of the 15 NCAA Division I athletic teams or the 13 club and intramural sports programs. Lander was founded in 1872 by Methodist Reverand Samuel Lander as a college for women. The Greenwood, South Carolina, college is co-educational and serves 2,700 students with four academic colleges, schools of management and nursing, and an Honors College. Undergraduate majors include exercise science and music, chemistry, and special education. Nine pre-professional programs, including pre-optometry and pre-physician assistant, are available. The voluntary EXE Program is an experiential learning initiative providing opportunities for real-world experience through internships, co-ops, service-learning, and study abroad programs. England's University of Winchester is a top study abroad destination. Students can participate in the Washington Intern Student Housing Program, which places students in semester-long internships in Washington, D.C. There are 60 clubs and organizations, including performance ensembles and the equestrian team. Intramural and club sports include bass fishing and rugby, and the Outdoor Adventures Program provides trips like hiking at Table Rock State Park and skiing in Colorado. There are 10 NCAA Division II Athletics teams. Charleston, founded in 1770, is the oldest college in South Carolina. The school offers 59 majors and 74 minors. Majors include historic preservation and community planning, supply chain management, Jewish studies, and computing in the arts. The campus includes a marine laboratory, a Real Estate Academy, the Center for Civic Engagement, and the English Language Institute. The academy offers pre-licensing coursework in daytime and evening formats. Charleston has special advising, degree completion, and minors programs. Online offerings include certificates, individual courses, and personal enrichment courses. The school has over 200 student clubs for its 10,375 undergraduates, including Swing Dance Club, Running Club, and Philosophical Society. The 19 NCAA Division I varsity teams include golf, baseball, equestrian, and sailing. Famous alumni of the college includes New York Yankee Brett Gardner, Comedian Orlando Jones, and actor Thomas Gibson. Converse, one of the best colleges in South Carolina, is located in Spartanburg. This women's college serves nearly 1,400 students with a 13:1 student-to-faculty ratio, and over 80% of courses are taught by full-time faculty. Ninety-six percent of faculty members hold terminal degrees in their fields, and three have been named South Carolina Professors of the Year. Majors include accounting, spanish, musical theatre, and creative and professional writing. Degree concentrations are available in art, business administration, education, english, and music. More than 50% of students pursue double majors. Since 2010, there have been four Fulbright Assistantships, two Goldwater Scholarship Finalists, and two University Innovation Fellows. Half of the student body conducts research or independent study projects, and one-third chooses to study abroad or travel. Converse is the only women's college in the U.S. holding membership in NCAA Division II with its 12 sports teams. Traditions include Big Sis/Lil' Sis senior to freshman "adoptions," Casino Night, and the Winter Ball. Alumni includes U.S. Foreign Service Officer Casey Addis and Pulitzer prize-winning composer Lily Strickland. Wofford, one of the best colleges in South Carolina, was established in 1854. It offers 26 bachelor's degree majors, including German, business economics, humanities, and physics. There are seven pre-professional programs, including pre-law, pre-ministry, and pre-pharmacy. The College serves nearly 1,700 undergraduates with an 11:1 student-to-faculty ratio. Students can participate in over 70 clubs and organizations, such as the Equestrian Club, Arcadia Volunteer Corps, and Campus Union. There are a variety of performing arts opportunities, including theater, Glee Club, and choir. The College's NCAA Division I Terriers have recently won Southern Conference Championships in football, baseball, men's basketball, and men's soccer. Alumni includes ESPN reporter/anchor Wendi Nix and MSNBC reporter/anchor Craig Melvin. The 170-acre campus is located in Spartanburg and is designated as the Roger Milliken Arboretum; Since 1992, 5,000 trees have been planted. Winthrop was established in 1886 as a teaching college for women. Today, the school ranks among co-educational South Carolina colleges with more than 5,000 undergraduates. Minority students comprise 37% of the student body. The University has an Undergraduate Research Office and Honors Program, and offers majors in anthropology/archaeology, geology, accounting, and women's studies. Service learning opportunities are available through Serving Others and Reflecting, along with alternative spring breaks and days of service. The Cultural Events Committee sponsors films, lectures, music, and plays. Students have access to more than 160 clubs and organizations, like the Arts in Medicine Club, Horseback Riding, Improv This, and the Taekwondo Club. The Winthrop Eagles Athletics have 18 NCAA Division I teams. The University's campus is located in Rock Hill, a 20-minute drive from Charlotte. Famous alumni includes actor Andie MacDowell, professional baseball player Kevin Slowey, and actor Shanola Hampton. Anderson is a Christian institution sponsored by the South Carolina Baptist Convention. Every student is required to take two religion courses as part of a core curriculum: Introduction to the Bible and the teachings of Jesus. The school offers 40 majors and 32 minors through eight colleges and schools. Degree programs include Christian ministry, business administration, criminal justice, and elementary education. Students can study abroad in Europe, Australia, South America, China, India, and Turkey. They can also intern abroad for six to ten-week periods in Chile, Spain, Singapore. On-campus, students enjoy the Art Education Club, Writers' Block, and Ducks Unlimited (wetland conservation). "The Journey" program promotes worship opportunities, and mission trips abroad and stateside are popular. Students can rent camping gear for private camping trips and cheer-on the AU Trojans NCAA Division II athletic teams. The school is among South Carolina colleges that offer Christian organizations and programs to help students deepen their faith. Erskine, established in 1839 by the Associate Reformed Presbyterian Church, describes itself as the "oldest church-related liberal arts college in the South." Approximately 550 undergraduate students enjoy an 11:1 student-to-faculty ratio at this South Carolina college. Available majors include american studies, Bible and religion, physical education and coaching, and political science. Students may add minors or concentrations to their bachelor degree programs. The College offers study abroad opportunities in Scotland, England, France, Spain, and Mexico. Fifty percent of graduates attend graduate school. The College is located in Due West, a one-hour drive from Greenville-Spartanburg. The 90-acre campus includes an amphitheater, two auditoriums, a museum and gallery, music hall, and an outdoor pavilion with a sand volleyball court. There are 15 NCAA Division II athletic teams on-campus. Alumni includes news anchor Susan Aude, novelist Erskine Caldwell, and Butler University Basketball Coach Beth Couture. Francis Marion, one of the best colleges in South Carolina, was founded in 1970 and named for a Revolutionary War hero. Its nearly 4,000 undergraduate students can select their degree program from four colleges and schools. Majors include environmental science, business economics, marketing, and computational physics. All students take general education courses in humanities, social sciences, laboratory sciences, and basic communications. Learners participating in a five-week leadership program often go on to assume leadership positions in student government, honor societies, and student organizations. Francis Marion's study abroad program includes England, Ireland, Germany, Canada, and France. Student organizations span academics, special interest, honor, and Panhellenic Council. The school's athletics teams, the Patriots, are part of NCAA Division II. The campus is located on 500 acres in Florence, but the FMU Performing Arts Center is downtown and houses the Department of Fine Arts. Coastal Carolina, located in Conway, has four colleges: Business, Education, Humanities and Fine Arts, and Science. Undergraduate programs include art studio, communication, economics, and hospitality, resort and tourism management. The University serves nearly 9,750 undergraduates with an 18:1 student-to-faculty ratio. The Quality Experiential Learning Program provides internship, research, service learning and international study opportunities. The Leadership and Civic Engagement initiative offers seminars, conference, and alternative breaks. The University's 633-acre campus has 115 buildings, and is home to the Coastal Science Center, a rock climbing wall and a disc golf course. Over 160 student organizations provide students a variety of activities, like Chinese Club, Hammock Club (relaxation strategies) and the Student Veterans Association. The school has 19 NCAA Division I Athletics teams, and they're called The Chanticleers. Coastal Carolina is among South Carolina colleges to have won the NCAA College World Series (the Chanticleers won in 2016). Famous alumni includes actor Michael Kelly, golfer Dustin Johnson and football player Josh Norman. USC-Beaufort serves more than 1,750 students with a 17:1 student-to-faculty ratio; the university has two campuses. The Historic Beaufort campus dates back to 1795 and features the Center for the Arts, which has two public art galleries, various studios, and a 400-seat auditorium. The Hilton Head Gateway campus of this South Carolina college is located in Bluffton; it is less than 10 years. Students of both campuses can pursue bachelor degrees in 18 majors, including history, studio art, computational science, and hospitality management. Some degrees have concentrations; 19 minors are offered. USC-Beaufort has four, online bachelor's programs. Students participate in Greek Life and over 30 student organizations on-campus, including Anime and Games Club, Gospel Choir, Fellowship of Christian Athletes, and Sociology Club. The USCB Sand Sharks comprise nine athletic teams and are members of the National Association of Intercollegiate Athletics. Charleston Southern, one of the best colleges in South Carolina, serves 3,600 students with a 14:1 student-to-faculty ratio. It's a Christian liberal arts university affiliated with the South Carolina Baptist Convention and was founded in 1964. Charleston Southern offers 48 undergraduate degrees, including Christian studies, financial management, accounting, and criminal justice. Minors include Christian worldview and apologetics, marketing, and theatre. The Experiential Learning Initiative provides service learning practicums, internships, service learning, and field courses. Credits from this program will be required starting with the 2018 freshman class. Bachelor's and master's degrees are offered online through Blackboard. The NCAA Division I Buccaneers Athletics include 16 teams, and were a founding member of the Big South Conference. Greek life, music Therapy Club, Service Club, and intramural sports are some of the activities available on the 300-acre campus. Columbia is a women's college that emphasizes "leadership, development, and career preparation." Its 1,200 students enjoy an 11:1 student-to-faculty ratio. There are 35 undergraduate majors within five academic divisions. Bachelor's programs include dance and dance education, behavioral studies, mathematics, and literary studies. The Institute for Leadership and Professional Excellence has five Centers for advising, applied learning, leadership, professional development, and entrepreneurism. Half of Columbia's graduates go on to pursue advanced degrees. Famous alumni includes Lori Allen, star of TLC's "Say Yes to the Dress: Atlanta." The school is among top performing colleges in South Carolina. Columbia's traditions include the Big Sister and Little Sister program, Diversity Days, and the Follies. At commencement, each senior receives a Bible personally signed by all faculty and staff. Columbia has more than 50 social service, performing arts, religious, and special interest clubs and organizations. Thirty percent of students participate in the College's ten National Association of Intercollegiate Athletics teams. Claflin, founded in 1869, was the first among South Carolina colleges to accept enrollment from all students, regardless of race or gender. Claflin is located in Orangeburg, and enrolls almost 2,000 students from 24 states and 11 countries. Its four academic schools include Business, Education, Humanities and Social Sciences, and Natural Sciences and Mathematics. There are 36 majors offered within these schools, including African And African-american studies, biotechnology, organizational management, and studio art. The University is dedicated to STEM programs, and has developed one with NASA. Claflin is home to the South Carolina Center for Biotechnology. Students can participate in study abroad, experiential learning, and global leadership programs. Student organizations include Friends of the Earth, National Society of Black Engineers, and Jazz Ensemble. Nine Claflin Panther Athletics teams are part of NCAA Division II. Famous alumni includes civil rights activist Gloria Blackwell and Painter Leo Twiggs. Newberry is among colleges in South Carolina affiliated with the Evangelical Lutheran Church of America.The school has over 1,000 undergraduate students. Students can choose from a variety of degree programs within nine areas of study, programs include graphic design, digital marketing, music education, and forestry and environmental management. Military Science Leadership is a rare minor program available at Newberry. The school offers study abroad, pre-professional, ROTC, and the Veterans Programs. The Muller Center provides civic involvement courses and one-time service initiatives. Campus ministry groups provide worship and community service events, including Safe-Kids Halloween and the Christmas Toy Drive. Student organizations include academic, honor societies, and special interest groups. Students can visit Lake Murray for boating and camping, or find entertainment in downtown Newberry, where almost every building is on the National Register of Historic Places. Famous alumni includes football players Ron Parker, Brandon Bostick, and Corey Washington. With departments in arts, sciences, social sciences, business, and education, undergraduates at Coker have access to 50 degree programs, including concentrations in pre-law and pre-med. In addition to its unique round table learning in the classroom, Coker also offers fully online bachelor's and master's programs. Trans4mations is a four-year program offering study abroad, internships, or community service in conjunction with academic work. The 1,250 student body represents 30 states and 18 countries. The average class size is 12 students. Coker, located in Hartsville, was founded in 1908. Its 15-acre campus includes several Georgian-style buildings listed on the National Register of Historic Places. Popular activities at this South Carolina college include outdoor adventure trips like water sports and snow skiing in North Carolina; Bandfest, Coker Olympics of Winter Days, cheering on the 21 NCAA Division II Coker Cobras athletics teams, and the Crew Race. Many two-year programs focus on training students for technology careers in the state. Specialized programs in technology and medicine are abundant throughout South Carolina, and most schools offer degrees and certificates that can be completed in under two years. Whatever the concentration, South Carolina's community colleges provide accelerated education options for career-minded freshman and adult learners alike. Two-year school graduates in South Carolina often earn a higher salary than those with only a high school diploma. The service sector represents more than 80% of the state's local economy; most of this economic sector includes health services, supported by local trade schools for medicine and healthcare services. Additionally many jobs outside of agriculture are in manufacturing, which accounts for the abundance of technical training programs in the discipline. If you're interested in pursuing a two-year program in the state, you can start your search by browsing our list of the top schools in South Carolina. Aiken Technical College is one of the few two-year colleges in South Carolina that tows the line between career/technical programs and transfer degrees seamlessly. The school currently offers 85 degree transfer options alongside career courses, allowing learners to select from four different areas: general education and university transfer; business and computer technology; health sciences; and technical education. A fifth department, online learning, is available to learners who can't get to campus daily. Academic excellence plays a big part in student life at ATC and the campus maintains an active chapter of Phi Theta Kappa, the honor society for students of community colleges who maintain a 3.5 or higher cumulative GPA. Other student clubs available include student government, student leadership council, student veteran's association, and the Christian life club. For learners who may need extra tools to thrive, the Academic Success Center is on hand to provide free resources. 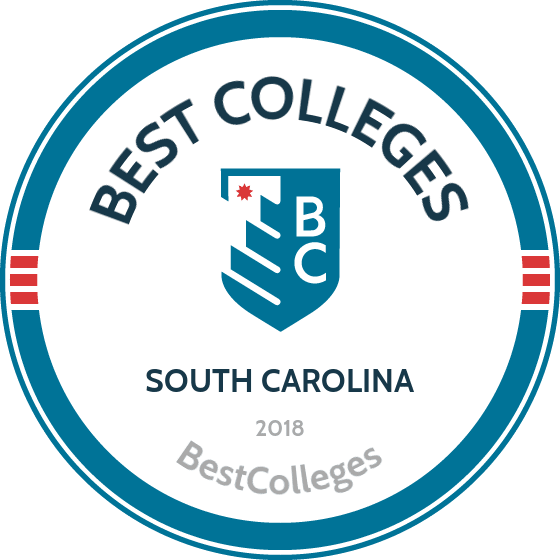 With a focus on being community directed and providing services to local students, Technical College of the Lowcountry takes the top spot in the search for best two-year colleges in South Carolina. Learners are able to choose from more than 80 different associate degrees catering to students looking to start their careers quickly or use their time at TCL as a jumpstart to a four-year degree. More than 5,000 students attend TCL's multiple campuses each year, studying topics ranging from criminal justice technology and industrial electronics to physical therapy assistant and early childhood education. For students planning to transfer, numerous associates in art or science are offered as transfer blocks to ensure students take the right classes for further studies. Seeing as more than 93% of graduates are currently working in their chosen field of study or completing higher education, TCL's approach seems to be working well. Midlands Technical College fulfills its mission of being one of the preeminent South Carolina community colleges by offering courses that prepare students for positions that require more than a high school diploma and less than a bachelor's degree. With more than 120 degrees, certificate, and diploma options, learners can find a specialized and specific program that prepares them for their dream career. For the busy learner, MTC has six different campuses throughout the region offering day, evening, and online learning opportunities to suit their unique needs. Aside from career and technical programs, degrees provided by the school of arts and sciences also prepare students for university transfer. Some of the career areas available include business, engineering technology, healthcare, and paralegal studies/criminal justice. Billed as the most affordable of all South Carolina community colleges in the upstate region, Spartanburg Community College is committed to ensuring cost is never an impediment to a quality education for students in this region. With more than 100 academic programs currently offered, the school is also dedicated to ensuring learners have options when it comes to planning for their futures. A sampling of programs proves this guiding light, with studies available in topics spanning from ASL and interpreting to surgical technology. SCC strikes a good balance between STEM subjects and more traditional liberal arts, with special emphasis places on helping students transfer to four-year institutions if they so desire. A robust student life is also central to the SCC mission, with opportunities for students to get involved in student organizations, volunteer in the community, attend cultural events, serve as a school ambassador, or be part of the Student Events & Activities Board. Located in Kingstree, Williamsburg Technical College is one of the South Carolina community colleges focused on providing programs of study for learners who don't want to wait four years to start their careers. Originally formed as the Williamsburg Regional Manpower Training Center in 1969, the name has changed, but the mission to provide accessible, affordable, and flexible career educations has not. In addition to many diplomas and certificates, WTC currently has seven different associate degree paths, including studies in general business, general technology, early care, and education. A few online degrees are also available via the online learning platform Moodle, as well as special summer classes for students who may have more time for classes during this season. As of the fall 2016 semester, Tri-County Technical College in Pendleton was home to more than 6,000 students, including first-time freshmen, high school students, readmitted learners, and transfer hopefuls. As one of many South Carolina community colleges focused on providing cutting edge teaching and learning to prepare students for an ever-evolving world, TCTC is committed to providing personalized educations that go beyond standard curricular requirements. The range of services are vast, including support for international students, housing and transportation resources, multicultural services, student development opportunities, disability services, advising, and support for veterans and active service members also working on their educations. When they're in the classroom, learners can choose from 36 different associate degrees, some of which are also offered online. Innovative options include CNC programming and operations, manufacturing management and leadership technology, and accounting. The school also maintains a Bridge to Clemson program for learners hoping to attend this venerable Greenville institution. Spartanburg Methodist College is one of the few two-year colleges in South Carolina to offer full tuition to qualifying students. Prospective learners who enter SMC with at least a 3.0 GPA may be entitled to receive a scholarship package totaling $15,750 in funds that don't have to be repaid. The school, which is located on a 110-acre wooded campus, is home to approximately 800 students, thereby providing a small, cozy environment for students looking for the opportunity to learn on a more personalized level. With a focus on liberal arts education, SMC is primarily a school for students with aspirations to complete a bachelor's degree. With that in mind, the college offers six associate degree programs: arts, business, criminal justice, fine arts, religious studies, and science. Learners may also take advantage of the C3 Collaboration, a bridge program for students who hope to attend the College of Charleston. To ensure all students are prepared for the rigors of a four-year institution, the Pioneer Learning Community is available to ensure students find academic, personal, and professional success. Northeastern Technical College, of the best two-year colleges in South Carolina, is located in Cheraw with additional campuses in Pageland, Bennettsville, and Dillon. The school currently has just under 50 associate degrees centered in areas of arts and sciences; business and computer technology; health and public service; and applied technology. Operating as one of 16 technical colleges comprising the SC Technical College System, learners at NTC also enjoy the benefits of being part of such a large network of academic institutions. In order to ensure students are equipped with the skills they need to succeed at the postsecondary level, all incoming learners take the College Skills 103 class to prepare them for what's to come. After completing their associate degree, many graduates elect to take advantage of the transfer agreements NTC maintains with seven different four-year universities in SC. The third and final of the two-year colleges in South Carolina affiliated with the USC system, the Lancaster campus is one of the oldest in this ranking, having been formed in 1959. The school has continued growing in that time, opening a multimillion dollar arts and sciences building and continuing to expand campus offerings. Like the Union campus, USCL is primarily focused on providing associate degrees that prepare students for further study -- be it completed at another USC school or any number of baccalaureate-granting institutions throughout the country. To aid them in their studies, the Medford Library is accessible both online and on campus to ensure students have access to all the resources and research they need to supplement classroom learning and complete assignments. For those looking to keep in shape while completing their degree, the Gregory Health & Wellness Center is a comprehensive service providing group fitness classes, exercise space, and a full Olympic-sized pool. With five different campuses spread throughout the Greenville County area, Greenville Technical College is consistently looking for ways to be one of the best community colleges in South Carolina. Providing more than 100 academic programs is part of that mission, with options covering areas such as arts and sciences; business; health and wellness; public service; and technology. Although the name may make some prospective students think the institution is solely focused on career and technical programs, GTC also caters to learners who plan to continue their learning after receiving an associate degree. A range of university transfer options are available, as is an honors program for students who want to challenge themselves academically while enrolled. The college is also devoted to its military population: in addition to basic assistance programs (including counseling, tutoring, and career services), GTC also offers SC ACCELERATE, a program that works specifically with veterans to translate existing experience and skills into new civilian positions. As a member of the larger University of South Carolina system, the Sumter campus operates as one of four community colleges in South Carolina within the USC family. A diverse campus, active service members and veterans equal 10% of the student population, while minority learners comprise 29% of the overall student body. 55% of learners elect to study full-time, while part-time learners are able to take advantage of flexible classes taught during the evenings and weekends, if necessary. Aside from a range of associate degrees, the school also offers a small number of bachelor's degrees, although graduates of Sumter can also take advantage of any of the other USC schools when it comes to completing a baccalaureate program. While at USCS, students have the opportunity to be part of lots of innovative programs, including peer tutoring and a specialized internship program. Whether a student wants to intern on campus or within the community, the department maintains and up-to-date list of needs in both locations. What makes Trident Technical College stand out amongst the rest? Easy: the number of options available. TTC has more than 150 programs of study, including significant numbers of associate degrees. While naming all of them in this space is impossible, programs are divided into 11 divisions ranging from aeronautical studies and culinary arts to health sciences and law-related studies. Learners who are nervous about the rigors of higher education can rest assured knowing that professional staff at The Learning Center are always available to provide free academic help and tutoring to ensure success. With eight different campuses spanning from Charleston to St. George, Hollywood to Moncks Corner, learners also don't have to worry about accessibility. Still not convinced? Consider attending one of the school's regularly scheduled Open Houses. Celebrating its 50th anniversary in 2016, Horry-Georgetown Technical College has existed amongst other South Carolina community colleges since 1966. The school has continually expanded, today providing 80 different associate degrees, diplomas, and certificates from its three different campuses in Conway, Georgetown, and Myrtle Beach. Annually, nearly 10,000 students enroll in academic programs at HGTC, with an additional 2,000+ completing workforce development training. The average student is aged 24 or under, but HGTC also offers a range of adult education programs -- on days, nights, and weekends -- for busy adults juggling other responsibilities alongside school. A few of the programs at Horry-Georgetown that likely won't be found at many other institutions include civil engineering technology, dental hygiene, forestry management, and golf and sports turf management. Although Florence-Darlington Technical College may be smaller than some of the other two-year colleges in South Carolina in this ranking, don't think for a minute that it means students at this institution aren't getting great educations. The school currently offers an impressive 38 associate degrees in addition to diploma and certificate options, with a number of programs also available as distance learning programs. Whether a student is looking to be a future accountant, health information manager, mechanical engineering technologist, or respiratory care professional, there's a program at FDTC to meet their needs. While all students live off-campus and commute to the school, the college works diligently to ensure learners have access to a robust rotation of student life opportunities, be they leadership training programs, veteran's services, career placement advising, or intramural sports opportunities. With campuses in York, Chester, and Lancaster, regional students enjoy increased accessibility to one of the best two-year colleges in South Carolina. And because courses are taught on 12-week blocks, learners can fit classes into busy professional or personal schedules. As a member of the South Carolina Technical and Comprehensive Education System, YTC operates as a public institution and serves between 5,000 and 7,000 learners annually. As graduation rolls around, 93% of alumni enjoy placement in a career or at a four-year institution within six months of graduation. As of 2017, the school offers 76 different academic programs divided into a number of different departments. These include agriculture, food and natural resources; architecture and construction; finance; human services; manufacturing; STEM; transportation, distribution and logistics; and more. Learners looking for extracurricular opportunities may consider joining the science club, Jacobin society, radiologic technology group, or Phi Beta Lambda -- the honors society for future business leaders of America. Operating as a member of the American Association of Community Colleges and receiving accreditation from the Southern Association of Colleges and Schools, it's safe to say that Orange Calhoun Technical College has earned its spot amongst the best community colleges in South Carolina. The college, which offers associate degrees designed for both university transfer and career readiness, is focused on providing learners practical, hands-on opportunities while still in school rather than focusing solely on academics. OCTech programs of study are divided into nine different colleges, ranging from advanced manufacturing and technologies to nursing and health sciences. To ensure all learners can access programs, courses are also available as online programs, evening classes, or via the adult education department. For learners who may have been out of school for a few years, OCTC provides a range of preparedness courses, including literacy services and GED boot camps to prepare them for success. Perhaps none of the other South Carolina community colleges in this ranking have as many campuses as Central Carolina Technical College. With 12 different training centers spread throughout the area, catering to both general and specific studies, learners know they can access classes and programs of study no matter their location. The first location in Sumter opened its doors in 1961 with a handful of learners; today the student body consists of more than 8,500 learners taking advantage of degrees, diplomas, certificates, and continuing education opportunities. 100 academic programs are currently available, including environmental engineering, paralegal, natural resources management, and engineering graphics technology. CCTC has a number of secondary school and institutions of higher education agreements with schools in the area, allowing students to transfer and complete bridge programs much more easily. For those nervous about their first year, the Freshman Focus Center is on-hand to provide support and guidance to ensure a smooth transition to higher education. Providing both practical career training and preparation for advanced college courses, Piedmont Technical College joined the ranks of South Carolina community colleges in 1966 and has never looked back. Accredited by the Southern Association of Colleges and Schools, PTC has continued to expand its academic offerings at every turn. In addition to offering a wide swath of academic programs, the college also maintains campuses in seven counties: Abbeville, Edgefield, Greenwood, Laurens, McCormick, Newberry, and Saluda -- not to mention an online campus. 38 associate degrees spanning from building construction technology to gunsmithing are available as A.S., A.A., and A.A.S. programs, while a number of articulation options are available for students working towards a specific program. As an example, the horticulture and turf grass articulation option was specifically designed for students planning to attend a similar bachelor's program offered by Clemson University. The University of South Carolina-Salkehatchie (USC Salkehatchie) lies in the lowcountry in South Carolina, delivering programs on campuses in Walterboro and Allendale. Students can earn associate degrees in as little as two years. Distance learners may tailor these degrees to their interests, by completing both general education courses and electives. Those interested in a baccalaureate degree in elementary education can earn both the lower division and upper division degree requirements on SC Salkehatchie's campus in partnership with USC Aiken. Students may also earn a bachelor of science in nursing in partnership with the College of Nursing at USC Columbia. Students take courses at USC Salkehatchie and clinicals at local hospitals and clinics. One of the top community colleges in South Carolina, the school partners with other four-year colleges in the USC system to ease the transfer process. Students can transfer associate degrees to complete baccalaureate degrees in fields like business administration, organizational leadership, and hospitality management. As the second of the South Carolina community colleges in this ranking that operates as a member of the University of South Carolina system, the Union campus (and additional Laurens location) is specifically focused on providing educations to students aiming to complete four-year degrees. To that end, the school provides a range of associate in arts and associate in science degrees that give students the foundations they'll need to transfer into a baccalaureate program of study. For learners who need the option of completing a few classes online, Palmetto College is another part of the USC system allowing students to do so. When they aren't in classes, students at the Union campus can frequently be seen watching or participating in the numerous USC Union Bantams athletics teams, which are members of the National Junior College Athletic Association. If you're thinking about applying to one of the best colleges in South Carolina, continuing reading to learn more about living in the Palmetto State. South Carolina has a rich history steeped in the traditions of the Deep South. Well known as the first state to secede from the union in 1860, today South Carolina is the artistic hub of the South and a destination for tourism and service-industry jobs. College programs in South Carolina are not limited by the state's traditional conservative values; schools offer a variety of programs to accommodate a diverse student body with broad professional goals and academic interests. South Carolina had a per-capita income of $24,604 per year as of 2016. In addition, 25.3% of South Carolinians 25 and older had a bachelor's degree or higher, slightly below the national average of 29.3%. Approximately 85% of residents age 25 and older had at least a high school diploma, also slightly lower than the national average of 86.3%. Establishing residency allows students access to in-state tuition at public colleges in South Carolina. Students 18 or older must provide proof of state residency; minors must live with either a parent or legal guardian in South Carolina to qualify for reduced tuition. If a student is a minor when they enroll, they must prove that their guardians are domiciled in the state to claim residency themselves. To establish South Carolina residency, a minor must live with a parent or guardian in a household within state borders. If the parents are divorced or separated, the minor must reside with a parent living in South Carolina. Minors must provide evidence that they lived with their parent in South Carolina before turning 18 and prove their intention to continue living with that parent until the school year begins. You must physically reside in South Carolina for at least one year prior to declaring residence. You must prove intent to make South Carolina your home. You should be able to prove your financial independence. Adults under age 23 may have to formally claim emancipation from their guardian.